According to Mayan cosmovision, we are not seen as separate from our environment but rather we are known to have been created from it. All matter on earth is made up of the same particles as stars, and Maya mythology tells that we first formed into humans as corn growing from the earth. Just as how we as Highland Partners come to Guatemala to understand and experience another culture, we leave part of ourselves behind. The process is reciprocal, Highland Partners come to initiate sustainable change in rural communities and subsequently are changed internally. The community of Manantial will always see Shiloh’s warmth in the flames of their stoves, and their spirit in the trees planted on their land. Thank you, Shiloh UMC for your participation in HSP’s methodology of transformational development that empowers marginalized native communities. 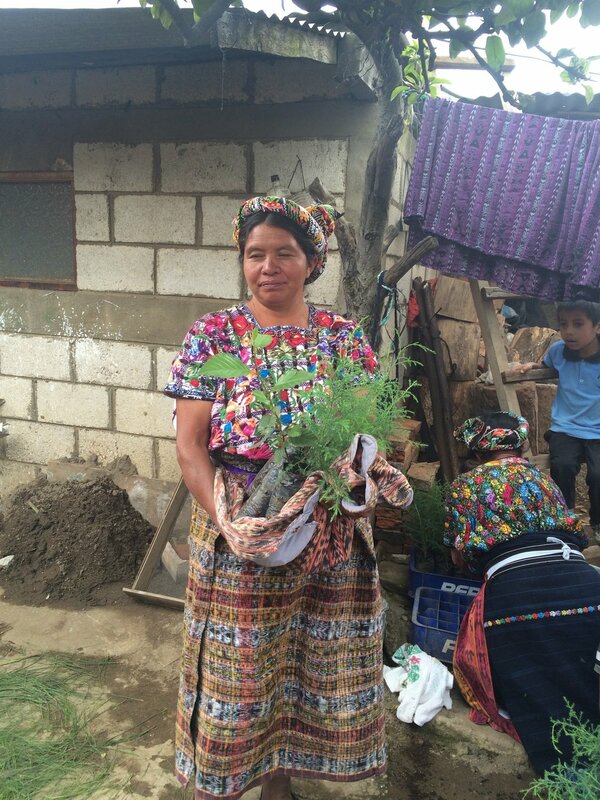 You have planted the initial seed of this process for 5 families with a clean-air cook stove and 50 new trees.